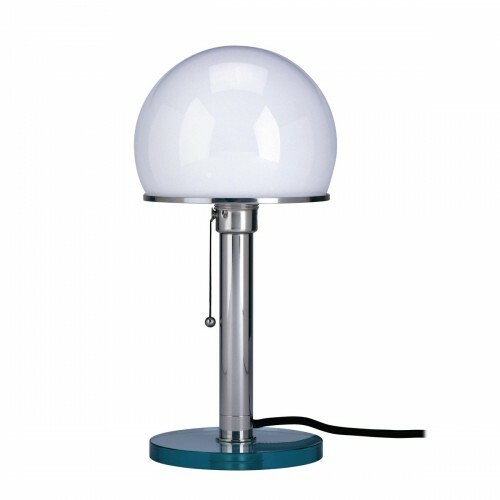 The ultimate souvenir of the Glass House - Philip Johnson's choice for bedside reading - the iconic table lamp designed by Wilhelm Wagenfeld in 1924. This edition is copyrighted and authorized by Prof. Wagenfeld and corresponds precisely to the original in terms of workmanship, appearance, dimensions and material. The wattage applies to conventional bulbs, it is recommended that you use energy saving bulbs of a lower wattage.